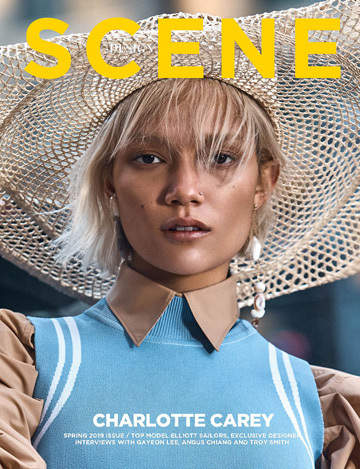 Top model on the rise and our cover girl YADA VILLARET sits down with our Editor ZARKO DAVINIC for an exclusive interview to talk about getting scouted, becoming part of Victoria’s Secret family, as well as what she likes the most but also dislikes in the modelling industry. Let’s go to the beginning, how were you discovered? My friends were modeling and one day brought their manager to school and introduced me. I started modeling that Summer. So, did you always want to be a model? If I think back about it as for did I want to be a model, I can say I believe all girls at some point think about it but it wasn’t something I was planning to pursue. How did it feel to become part of Victoria’s Secret Pink family? You have an impressive portfolio, from covers of Harper’s Bazaar to world wide campaigns of brands such as Nautica. What would you say was the most important step in your career? Thank you, for me it was probably deciding to move to New York! It was such an important step for me and I’m so glad I took it. What is the best destination you’ve ever visited for work? There are so many, but Either Iceland or Seychelles. Both were so ridiculously beautiful! Absolutely breathtaking. What do you enjoy most about modeling? And what do you dislike? I appreciate the chance to constantly meet new people, at any given moment in our line of work. This makes work much more fun and sometimes you make friends for life. When it comes to what I dislike it is probably the uncertainty of my schedule and how I can not really plan anything too far ahead. We as working models simply don’t know what’s going to come up. If you look back how different is the real modeling world, from the one you imagined before you start working? People always assume it’s the glam life and everyone is really mean. It’s the complete opposite. It’s not as glam [laughs] but everyone is usually so so nice! If you hadn’t become a model, what would you be doing instead? No clue. I am still in the process of figuring out my plan B. Speaking of style, what would like to add to your wardrobe this season? A white denim jacket! It’s a must. So, how would you describe your personal style? I would say it’s super simple, mainly basics. I workout nearly everyday. Either Pilates or Boxing and I also go to the Dogpound. Could you share with us your beauty secret? Every night before bed take your make up off, wash your face twice a day and always wear sunscreen.